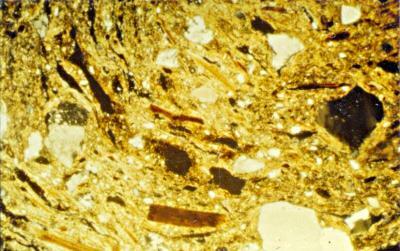 These photographs show a thin-section of an example of a moulded-rim jar of Camulodunum form 262 in the granite-tempered ware from Silchester under both direct and polarized light. 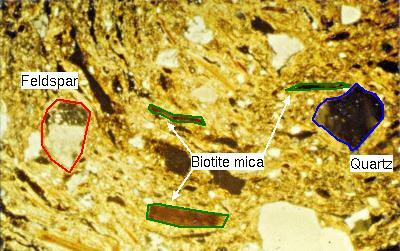 The principals of ceramic petrology are explained in these pages by Alan Vince, where further examples of the application of the technique are given. 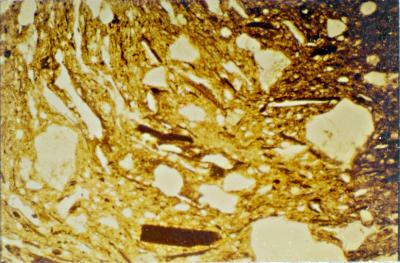 A full petrological description of the fabric is available here.